WELCOME to Herts Hunt Pony Club, the branch was created in 1965 to accommodate the very horsy area around Berkhamstead, Dunstable, Leighton Buzzard & Tring - see map below. We are in PC Area 12. We have a Membership of approx 60 - 70 with ages ranging from as young as 4 ½ yrs to 21 yrs old. Herts Hunt branch tries to provide a round mixture of instruction, education, activities, fun & friendship. Ridden instruction is an important part of pony club training helping riders to improve their riding skills & give them confidence to build on, stretch their abilities & encourage them to enjoy all aspects of riding & competing. We try & offer a wide range of excellent instructors & trainers in all the different disciplines i.e. : flatwork, dressage, show jumping, cross country, games & polocrosse. This gives riders a choice & an experience of the different types of training that each instructor has to offer. Everyone can learn something new every day when working with horses & ponies. There are also opportunities to learn more about horse & pony care at home & at competitions. 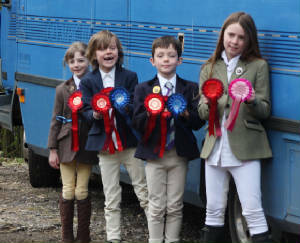 We are a friendly pony club with lots of like minded members & parents who all enjoy horses & ponies. There is always help at hand if any one is struggling. We are the joint Acting District Commissioners, or DC's for short. To provide instruction in riding and horsemanship and to educate Members to look after and to take proper care of their animals. 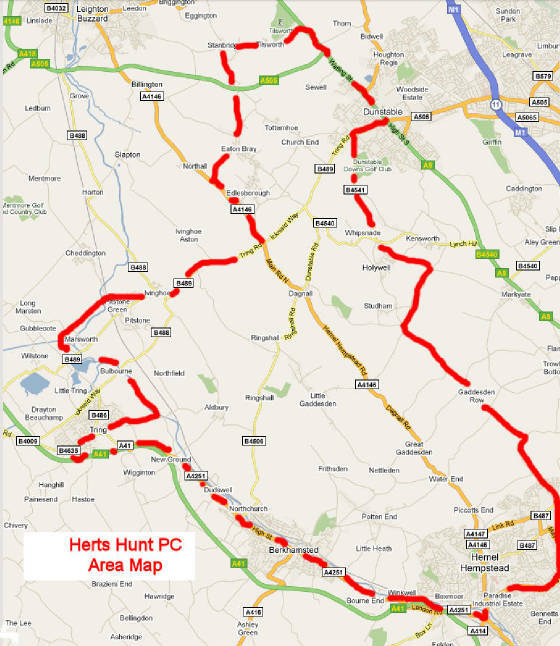 Click link below to Download pdf Area Map for Herts Hunt PC.